Custom. Our results calculation and display system has been in development for several years, written from the “ground-up” and is designed to interface with Lynx System Developer’s timing and measurement software as well as popular meet management programs. Simple, flexible, consistent. The system is easy to operate, automated and highly customizable through a series of software toggles. The software imports raw data from FinishLynx|FieldLynx® as well as other information sources, performs the necessary calculations then generates web-enabled files for secure internal networks or internet results. It can operate in simple or advanced modes and used for mission critical meet applications. The software also functions as a Commentator Information System (CIS) for announcers, press and TV personnel displaying important data from around the stadium. Focus on results and reliability. Committed to accuracy, the simplicity of operation and reliability to deliver results around the venue and to the internet. Database|Meet Management Program neutral – just needs raw event data from FinishLynx|FieldLynx®, independent of Meet Management software. Automated event status updates showing progress|status of each event. In progress events highlighted. ResulTV – send compiled or current results of any event or updated team scores directly to ResulTV, all done dynamically and unattended. TV/Broadcast – send compiled or current results of any event or updated team scores directly to TV CG systems or third-party applications using network data streams or fixed file formats. 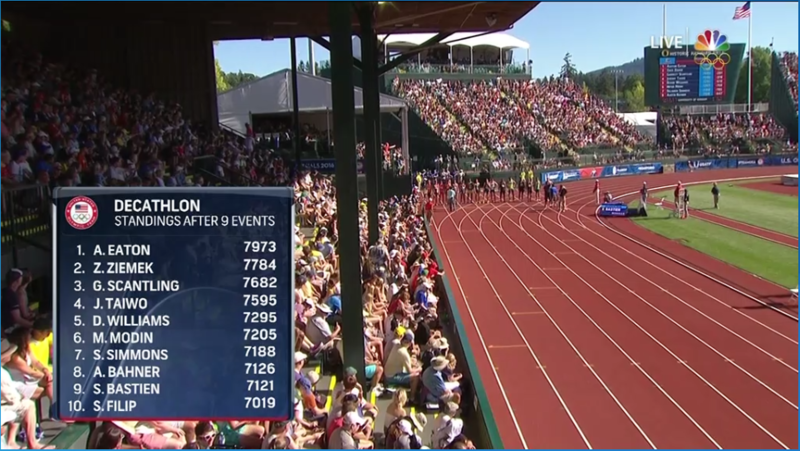 ResulTV – send updated team scores directly to ResulTV, all done dynamically and unattended. “… Its easy to use and reliable. The entire Flash Results team knows how to operate it. The results interface helps us provide our customers with better service and allows us to focus 100% of our attention to meet details. Coaches, meet management and media have given positive and constructive feedback. Its been a work in progress and continues to get better over time. The flexible software operation allows us to customize the interface for different meets from small invitationals to high level national championships…” Roger Jennings, Technical Director – Flash Results, Inc.
All information is calculated, compiled and dynamically displayed just seconds after it happens. Our unique format also can interface simultaneously with each field event venue to display the current competitor on the runway or in the circle. In addition, the software can automatically send unique start list information and event data to Twitter, TV/Broadcast character generation (CG) software or third party applications. Universal in nature and portable, result pages and data are displayed equally well regardless of platform – on laptops, desktops, tablets and smartphones. Tested, used and improved since 2013, it has been used by thousands of media, fans, parents, athletes and coach’s. It has been the official live results|CIS|media interface used by Flash Results, Inc. and can be found in operation at many high-level competitions around the USA. 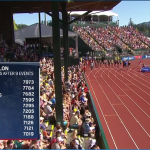 It was the system of choice by NBC Sports at the 2016 USATF Olympic Trials for broadcast personal and to drive on-screen TV results. About the tech|legal - This software is not commercially available. The calculation engine used to generate web-enabled files is built on the open source python-language platform with consulting input from Brian Giarrocco (Mount Pleasant, SC). The methods and techniques used to calculate and display information (VinceScore©) is protected under United States Copyright TXU001892044 (© 2013). This includes novel data display pages such as split summary tables,xc predicted|adjusted scores, vertical jump status indicator, wind direction vector arrows and techniques used for automated event status updates among others. No personal information is collected. Web sites reproducing results generated by this software program should reference where it was originally posted. Copyright © 2019 Kennett Timing.